Are you planning a surf trip to South Africa? 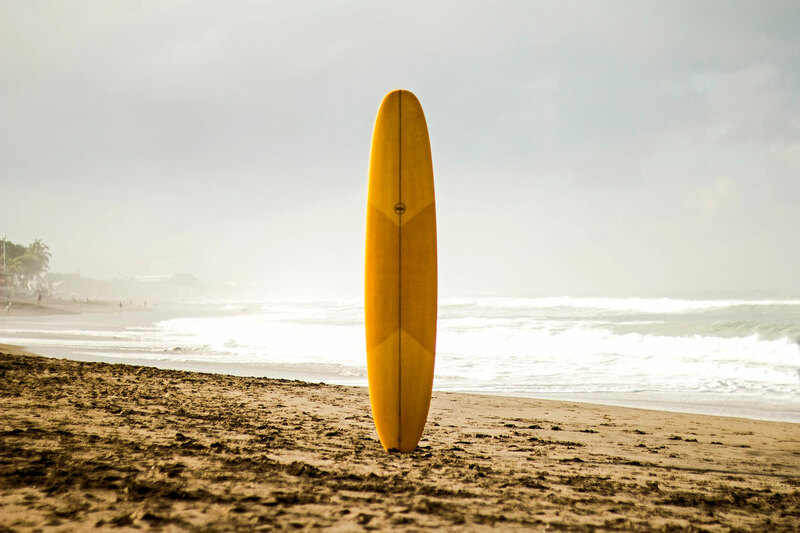 Have a look at our suggestions and find out the best places where to chase your waves! The Republic of South Africa is an excellent surfing destination because of its 2.800 km of coastline, swept by two major ocean currents, the warm Mozambique – Agulhas and the cold Benguela. The South African coastline is not only long and windy: mainly defined by a series of points and bays, its waves can be ridden all year long. Is it all peace and light? Well, almost: simply be careful about the sharks! That being said, let’s have a look at the top 5 surf spots in the Rainbow Nation. South Africa prolific coastline has way more than 5 surfing destinations. However, we don’t want you to scroll a never-ending list of beaches and bays: we’d never forgive ourselves for your migraine and bad temper! Therefore, we have selected Bear surfers’ favs for you. 1) Jeffreys Bay, also known as Jeffreysbaii or J-Bay. Supertubes. Need I seriously say more? Tubes. A short and intense ride, with a relatively small section. Point. Discovered by long-boarders in the ‘60s, it’s perfect for gremmies. Again, we do not want to be responsible for your migraine. Thus, have a look at the Info J-Bay Website (http://www.infojeffreysbay.com/surf_spots_jeffreys_bay.htm ), where the sections are extensively described. 2) Elands Bay, also known as Elandsbaii or E-bay. Considered the J-Bay of the West Coast, it stands on a sandy riverbank. The break, the Point, is located about 500 m to the left of the main campsite: the swell refracts and produces a hollow take-off and a tube running for over 150 meters. Quite crowded in the weekend, it is peaceful during the week. Elands Bay is a small town, with only one liquor store and one hotel next to the campsite. With the passing of time, it has become more touristic, but it remains nevertheless pretty much a locals’ spot. So, take note: not everybody will speak English. Apart from communication problems, you want to be careful about the rocks in the water: being covered in kelps, it’s super easy to slip off them. 3) Hout Bay. The peaceful fishing village hosts one of the sixteen big waves spots around the globe (http://en.wikipedia.org/wiki/Big_wave_surfing#Notable_big_wave_surfing_spots ). We are talking about her Majesty Dungeons, one of the most challenging big waves worldwide with its double-up drops and long speed walls. It has two sections off the main break. The first is known as the slab and it is where most people surf. The second is the 2.5 section: it owns its name to the two and half meters of water between the surfer and whatever lies beneath him, sharks included. The choice is up to you, but be careful: the 2.5 is pretty intense! 4) Durban. This warm, cosmopolite spot welcomes a great number of surfers every year, especially from April to September. Durban treasures Cave Rock, a spot consisting of two waves that, once upon a time and according to the legend, used to link up. The 2007 storm washed away part of the road and of the sandbar. The damages it caused were dangerous enough to convince foreigner surfers not to go there anymore: therefore, more and more locals, braver and more used to this kind of dangers, began to surf its water. Durban is perfect for those interested in parties as well as in surfing, seen its many clubs and pubs. Be careful: Durban attracts both surfers, party lovers… and sharks! 5) Muizenberg. We’ve all had our rough times standing up and ducking in. So, here’s the definite South African surfing spot for the newbies among you: Cape Town’s Muizenberg, also known as the Surfers’ Corner. It has nothing to do with the spectacular natural wonders previously described, but it is perfect for those who need to learn the basics, since there are lots of valuable schools. Don’t miss these spots and find out more about South Africa on its website!